From the Dolomites to Abruzzo, from Piedmont’s wine landscapes to the quaint villages perched between the sea and the land of the Ligurian coast known as the “Riviera dei Fiori”: historical centres, natural parks, rivieras, sea, mountains and gentle hills create masterpieces envied around the world. In short, a tableau of beauty which boasts the largest number of UNESCO sites anywhere (no less than 53). 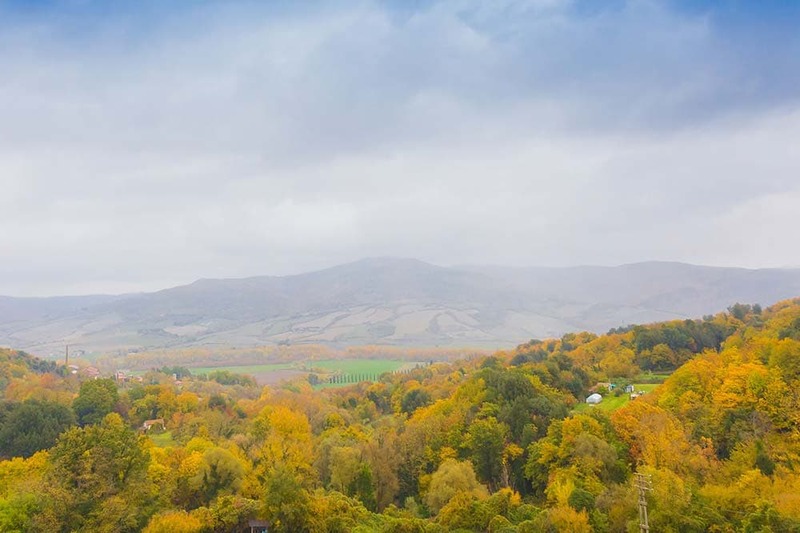 Landscapes that are not only aesthetically pleasing and beautiful, but also wonderful to discover on your bike at a slow, healthy and natural pace. Nestled between the Veneto plain and the hilly area that stretches out before the Belluno pre-Alps, Asolo is a small medieval village (one of the most beautiful in Italy) perched on a hill. The best time to cycle through this territory is in the spring, when the cherry and peach blossoms colour the landscape. Asolo is also known for the production of world-famous Colli Asolani-Prosecco or Asolo-Prosecco DOCG wine. 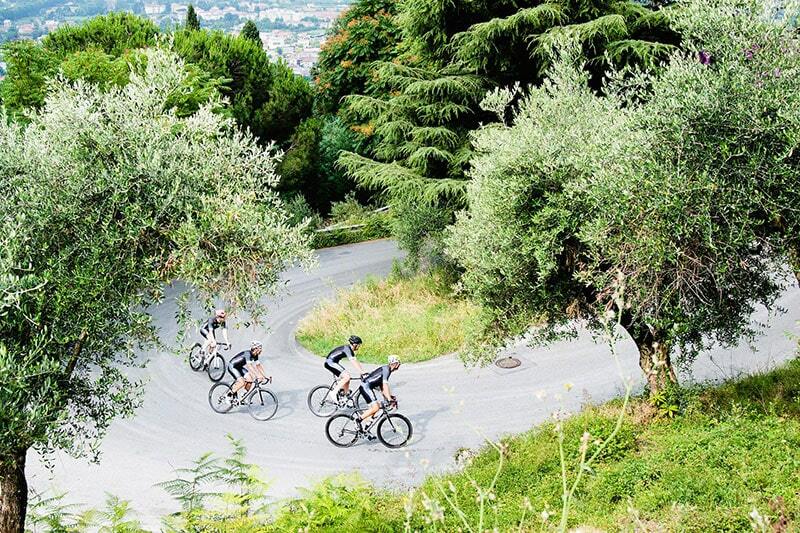 Asolo is situated approximately 15 km from Cavaso del Tomba, an ideal starting point for your cycling excursion. Peschiera del Garda (recently recognised as a UNESCO world heritage site) and Borghetto are situated on the southern part of Lake Garda. Peschiera is a true masterpiece of military engineering: enclosed within an imposing structure of pentagonal walls, it stood for many years as a fortress for defending the lake and the Mincio river. From here you can set out to explore Borghetto, a village of mills on the Mincio river, which became known for its quaint and distinctive atmosphere, along the cycle path that coasts the banks of the river connecting Peschiera with Mantova. The compelling summits with peaks rising over 3,000 meters are an icon admired all over the world. 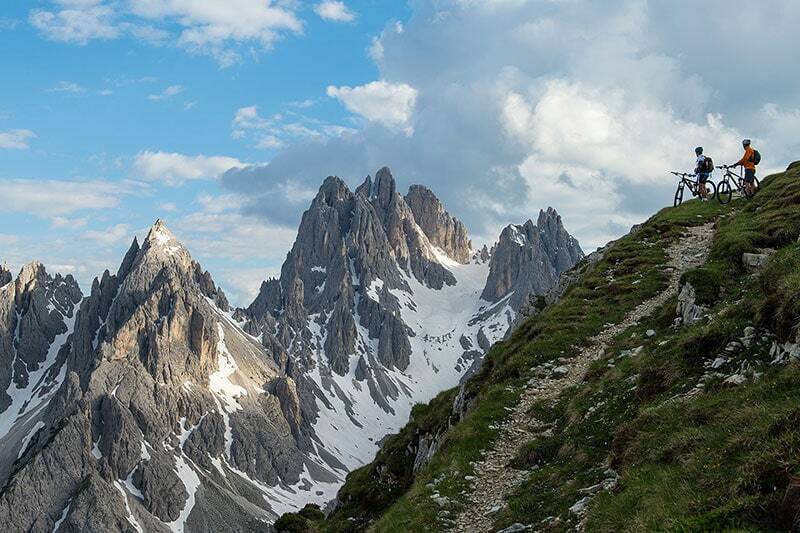 However, to discover the true charm of the Dolomites, you must not stop at the photos. Nestled between the provinces of Belluno, Bolzano, Trento, Udine and Pordenone, the Dolomites mountain range, formed by the characteristic light-coloured limestone of Dolomites which over time the erosion has carved into grotesque and impressive shapes, covers nearly 231,000 hectares of land. Make your way along the trails, mule tracks and single tracks immersed in the dense woods or along the cycle paths winding through the valleys, and enjoy the spectacle of the famous “alpenglow” which at dawn or sunset magically inflames the rocky walls with colours spanning from light yellow to fiery red, to then veer into pink and purple, until disappearing into the darkness of the night. Enjoy this unforgettable spectacle first hand! 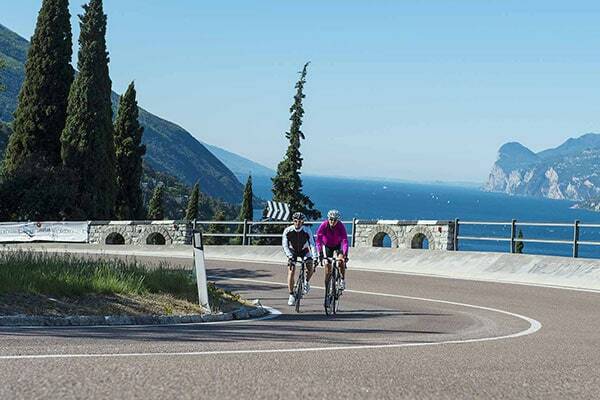 Whether you are interested in dedicating yourself to exploring the quaint villages rich in history perched between sea and land, or you are looking for a destination with a mild climate all year round, where to enjoy slow tourism, far away from everything, the land of the Ligurian coast known as the “Riviera dei Fiori” is a must destination. Let’s be honest, it will be impossible not to allow yourself to be won over by the colour contrast of the green slopes overlooking the sea and the intense blue of the waters. From the countless trails threading through the hills, with their scenic terraces overlooking the sea seemingly defying gravity, to routes for thin wheels that meander along the coast until you reach the “Ciclovia dei Fiori”, a recently abandoned section of the old Genoa – Ventimiglia railway: this is the charm that the “Riviera dei Fiori” has in store for visitors. Even if you are not a wine lover, you will be sure to appreciate these lands that extend into a lively game of rounded profiles, modulated by the changing seasons: hilly expanses as far as the eye can see, cultivated with vines whose neatly arranged rows draw rigorous geometries, splendid castles that dominate the valleys dotted with villages, parishes and wine cellars. 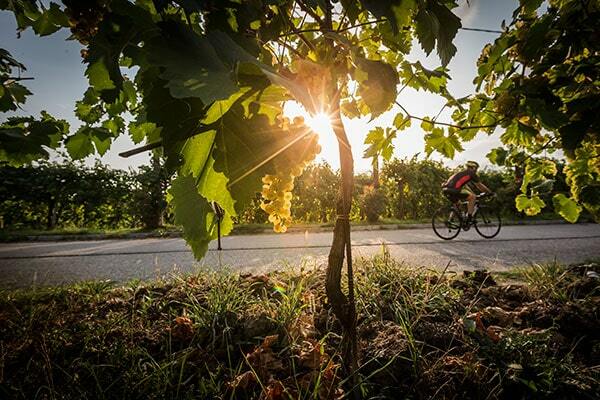 This is the magnificent scenery of the Langhe, Roero and Monferrato, shaped by the combined efforts of nature and man. So get on your bikes and allow yourselves to be carried away by the scents of the vines, far from pollution and noise, to then take a break in a local trattoria, discovering the tantalising favours of “agnolotti” pasta, braised meats, truffles and warm hazelnut cakes typical of Neive, one of the most beautiful villages in Italy, to be savoured with a glass of Barbaresco. Cheers! Perched as if by miracle on an imposing 600-meter outcrop, San Leo is a medieval village that boasts a thousand-year-old history. (Not to be confused with the Republic of San Marino, that stretches out in the background.) 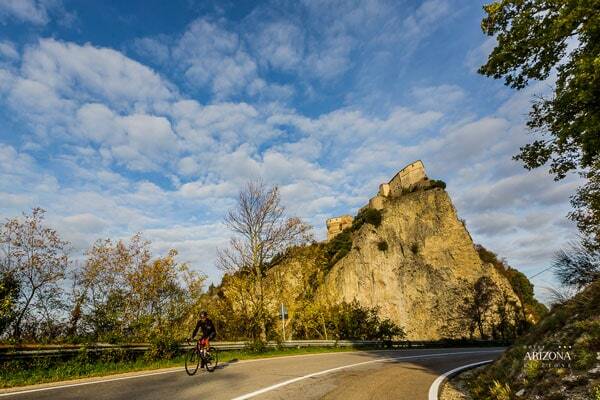 The Rimini Riviera and Riccione are an ideal starting point to dive into the rich history of this region on your bike (approximately 40 km away). Along the way you will come across another one of Italy’s most beautiful village: Verucchio, which thanks to its raised position provides a great vantage point over the Marecchia Valley. If you choose Verucchio as your starting point, we recommend the mountain biking route which unwinds along the “cinghialiaia” climb and makes its way to Montebello and then San Leo. The highlight of this 35 km itinerary is the rather technical single track that descends towards Pietracuta. Discover it for yourself! A landscape bordering on the absurd. It is this that awaits you if you choose to set out to discover Civita di Bagnoregio (known as “the dying city”) and the Calanchi Valley, characterised by the striking remains of erosive phenomena. The itinerary that takes you to discover this area is approximately 140 km long and sets out from Viterbo, making its way to Bagnoregio and Civita di Bagnoregio to then make your way back passing through Orvieto, Montefiascone, Vetralla and Viterbo. Be assured that your journey will be well-worth this incredible destination. What are you waiting for? Everyone knows that when we talk about Tuscany the image that comes to mind is the typical succession of gentle rolling hills covered by a dense vegetation of vineyards, olive groves, cypress trees, beech forests and chestnut woods, interrupted here and there by ancient villages of medieval origin, rural houses and fortresses with towers dispersed amidst the isolated and peaceful nature of the places. This is Tuscany: a tableau of striking scenery that never ceases to amaze. 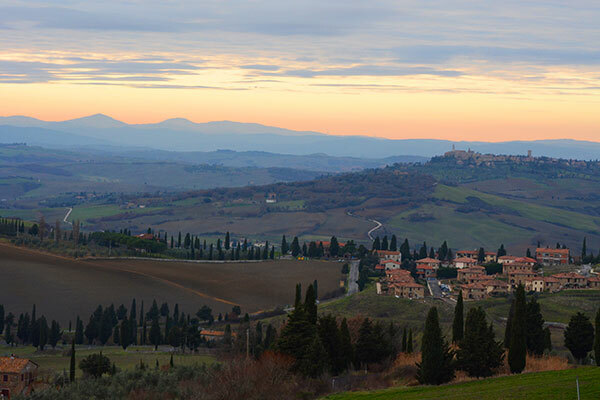 With its gentle rolling hills and roads that see little traffic, the Val d’Orcia lends itself well to cycling, making it an ideal destination for the countless tourists who come to this region to discover its beauty on their bikes. 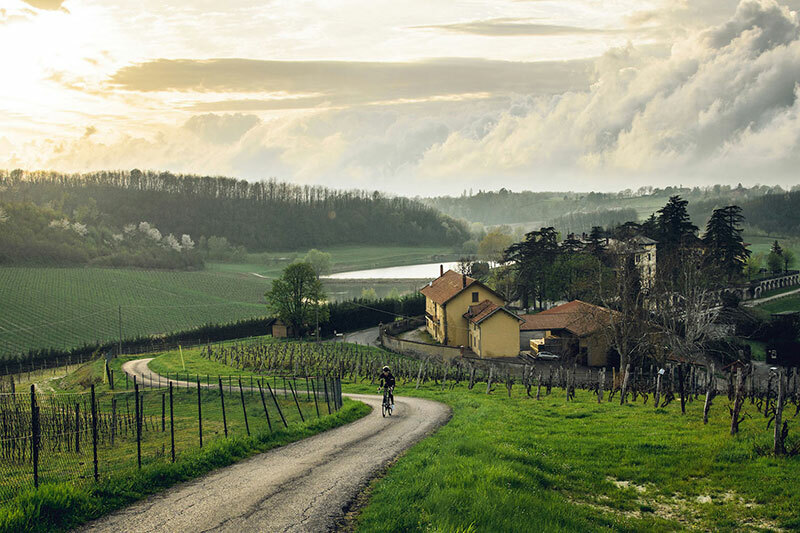 Cycling through these areas is easy making your way along the many so-called “white roads”, mildly sloped unpaved country roads lined by rows of cypress trees that unwind through the cultivated fields, where epic road races like the Eroica also take place. So get in your saddle and make your way towrds Castiglione d’Orcia, Montalcino where Brunello di Montalcino is made (one of the most prized wines produced in Tuscany), Pienza (the ideal city), Radicofani and San Quirico d’Orcia, and then be sure to enjoy a stop in Bagno Vignoni with its thermal springs dating back to Roman times.